Many people want to know the answer to the question how to build self-esteem and confidence? Academic research at Harvard and Ohio State Universities show that 80% of the people wish to increase their self-esteem and confidence. This represents a vast majority of the people. Another problem is that many people do not know that the source of their daily problems originates from a lack of self-esteem. In general they do not pay attention to this essential component which is very much connected to happiness. Having confidence means that you trust yourself and often trust that your actions will lead to a successful outcome. Even if you may not always succeed you still believe that you have a self-assurance. Self-confidence and self-esteem are closely intertwined. Self-esteem is the degree to which you like or dislike yourself. Self-worth means how much you value yourself. In a way it is synonymous to self-esteem. People differ in the degree to which they like or dislike themselves. This trait is called self-esteem. Because self-worth and self-esteem have a direct impact on life, substantial academic and psychological research has covered these interesting subjects. For example, self-esteem was found to be directly related to expectations for success: people who possess high self-esteem believe they hold the ability they need in order to succeed at school, university, or at work. Individuals with high self-worth and high self-esteem are also likely to take more risks, to choose unconventional jobs, to be less susceptible to external inﬂuence, and to be less prone to seek approval from others. Instead, low self-esteem is another way of saying you put little or no value on yourself. Not surprisingly, Self-Esteem has also been found to relate to Conﬁdence and to Locus of Control; a characteristic by which people believe they are masters of their own life. How many people have the potential but are not aware of it? How many people could succeed if they increased their self-esteem by only a little? The Rapid Improvement Self-Esteem or RISE Method was created by Professor Sam NASSIF, Ph.D., PCC after 25 years of personal research and experience. It aims at helping people improve their self-esteem and self-confidence which in turn can help them unlock their potential and transform their life. 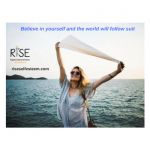 Professor Nassif assures you that if you follow and apply the RISE Method not only will you boost your self-esteem but you will also (re)discover what your true potential is and how much you can accomplish. Self-esteem is a key component of self-confidence, which is crucial and determinant to a thriving life. Because self-esteem effects emotions, a low self-esteem causes negative feelings such as sadness, pessimism, resentment, regret, uncertainty, anger and fear of failure. On the other hand, increasing self-esteem has a positive impact on emotions and results in joy, peace, optimism, serenity, kindness, empathy, self-conﬁdence and generosity. The good news is that self-worth and self-confidence can be gained and improved. The RISE method is an efficient tool that will unlock your potential and let rise your best qualities. The method is easy to learn, simple to apply and leads to impressive results. In only three month-time and 3 to 8 minutes per day you will be able to rapidly improve and boost your self-esteem and self-confidence. With RISE you shall reach deeper understanding and encounter strong emotions. You will build a high level of self-esteem that will change your life. The RISE method has been tested on more than one hundred persons of different ages. It may not be a big number of people; however, it is valuable to learn that all of these persons have succeeded in improving their self-esteem and self-confidence. We have helped these persons. And we can help you become more confident. Want to learn how to increase confidence? 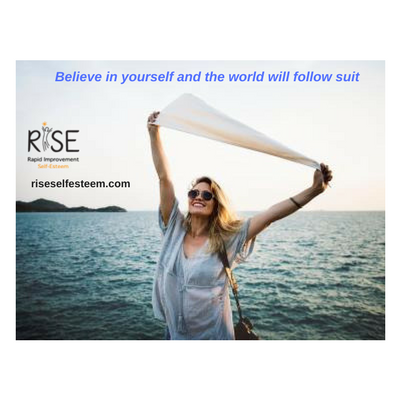 To know the answer to your question : do I lack self-esteem and self-confidence; do not hesitate to visit www.riseselfesteem.com.